Every day we’re surrounded by people, all different kinds of people, and no matter how you try, you feel like you don’t fit in. The good news is: This is really a good sign. If you think about what the majority of the greater community represents the mindless majority blindly following society’s sleight of hand manipulations to keep us all manageable as a herd of cattle. While it sounds simple, the methods utilized by the social engineers to control us all en masse is extremely complex. So, if you feel like you don’t fit in, this is a very good sign that you are awakening and your heart is evolving. Something inside you knows that there are huge problems with whatever societal view has been imposed upon you since birth. If you dared to be different and decide to let your freak flag fly, who’d blame you (if not applaud you)? As much as life tries to corral you and manage you along with the rest of the herd, there’s something inside you which is screaming, “I am not cattle!” You felt it at school, in your neighborhood, at work, in churches and organizations. Maybe at one point, you did feel more comfortable in your environment, but things change. Your friends change. There was a time when you trusted your best friend and you believed this most trusted friend would be your best friend forever. But he or she changed, and so did you, leading to your drifting apart. At some point you realize you’re so different from each other you have little left except common courtesy at best, sometimes not even that. This growing and changing as you adapt to life which is always in a state of flux, makes you feel awkward. Especially if you are noticing inconsistencies in the state of affairs all around you and God forbid, are questioning what may or may not be actually trustworthy and true. The secret is not to cut yourself off from others or society and become a total recluse. Isolation is unhealthy and can cause psychological and physiological deterioration. You might just toy with the idea of giving up, squelching the beckoning of your heart which is evolving in its connection to your brain, and nestling yourself back into the herd, where you can embrace your former sense of safety and security, as false as it might have been. Taking the easy way out, refusing to be a part of the next evolutionary step of mankind. Or you can find someone who resonates with you. Just start to gently speak your questions to people you come in contact with. Most of the people you talk to will instantly reject your thoughts and concerns. Do not press the subject any more with that person. Bless them and move on. Keep gently speaking your piece (or peace) to someone else, and move on, until it finds a spark of interest. Then share your thoughts until that person becomes resistant, then bless them and move on. Using this process of elimination method will keep you true to you and will identify people inside or outside your circle of influence who may share the same thoughts, concerns, or conscious frequency. Feel free to restructure your circle of influence accordingly. These are your people. Note that your people will change, for each and every one of them are on their own individual journey of growth, expansion, and evolution. At times, you will find those who are keenly matched to you in vibration and frequency. While you are in the process of expansion be aware of how you represent yourself with the remainder of society. Be careful not to fall into the egotistical trap of thinking that you are in any way better than anyone else. And for God’s sake, do not engage in hate speech, ever. Hate speech is the precursor to hate action and hate crime. Fear masquerades as hate and cannot exist in love. Choose love. Be respectful. Honoring each person’s right to his or her individual journey, just as you would expect them to respect your right to evolve at this time. Find security in the idea that everyone is doing the best they can with what they have at every moment, just the same as you. Bless and love them as they find their own way to their individual destiny. You needn’t separate yourself totally from the rest of society while you are finding your people. 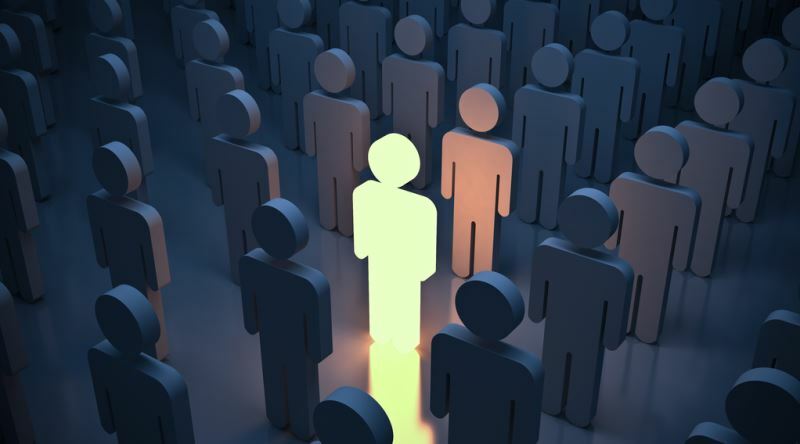 Once you have found people to associate with whom you can be open and honest, by remaining among the herd, you can be a subtle light influencing those around you. Your evolved heart/brain-connected energy is felt by people and the world around you at least three-and-a-half-feet in every direction around you. As you continue to evolve, this energy reaches farther and farther in every direction all around you. No need to speak, just your being there affects the lives of others and the word in a positive way. You may speak as you let your light shine but do so with grace, dignity, and love, keeping in mind that people can only handle what they can handle, so give them a little something to think about without having to threaten the world they live in. If they start to question, they may seek you out. You might be one of their people when they’re feeling like they don’t fit in. Let them be able to find you. What is your perception of prosperity today?